InCreditable Advisors offers a free credit report review. We sit with you in a stress-free environment and go over your credit report to. Let us help you protect one asset and gain another. Does a FREE Credit Analysis help? strategy to make it even better. Tired of using your personal credit? Get business credit instead! 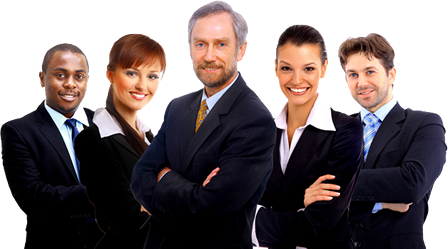 Increditable Advisors has educated individuals and businesses since 2007 on proper credit management and improvement. We specialize in both Individual Credit repair and Business Credit repair. We provide detailed information, have written many eBooks and blogs, and have case studies that help our clients understand how poor or mismanaged credit can and will impact them. Miguel and the team gave me great advice and has really help me improve my credit!! Any questions I had would be addressed right way and they even helped me understand the process. I appreciate everyone there an am happy with my results! Miguel is the man! The hour I spent today with him was one of the best hours of my life! Very trustworthy and honest. He tells it like it is- all you have to do is be willing to take heed to the things he say! He takes the fear out of fixing your credit. Good listener of ALL your concerns of credit & life! It's not about making money off of clients like most credit repair companies! I immediately shared his info & got my brothers & friends to make an appointment. Best of all... he's a man of God. Thank you so much! Amazing customer service, and a wealth of knowledge. After a consultation with Miguel not only did I receive invaluable guidance from a credit perspective I also gained great investing insights. If you're in the market for credit repair, credit improvement or just financial guidance- Miguel is the man to talk to! After cutting my own yard of a 1 acre lot with a 3 bedroom house my family and I can call home now thanks to Miguel and his crew by the way this is a revised review. I was a bit sceptical about the price and services due to all the scams around, but without a doubt I am recommending Miguel and his crew. My credit score is now at it's highest point a 771 from a 540 . Thanks Miguel and your crew! Our lives are now better. Credit score went up 150 points in 6 months! Definitely a life saver. Now, I have gotten a new credit card, started saving money, and will be able to buy my first house in less than a year! My husband and I were looking for someone to help us start rebuilding our credit. Miguel gave us awesome advice and some helping words of wisdom as well! He also advised us that we do not need his services at this time and wouldn't take any money that day. Not many businesses will do that these days. Even though we have not utilized his services as of yet we definitely plan to very soon! We will be back and we are definitely referring you to our friends and family! Thanks again Miguel!! I had a consultation with Miguel this evening. He knows his stuff!!! I’m definitely looking forward to this journey ahead & working with Increditable. Today, maintaining good personal credit is more important to build and preserve than ever. The rate paid or the very availability of a mortgage, a car loan, or a credit card, often depends on credit. Credit scores are routinely evaluated by prospective employers, landlords, and even insurers. Establishing credit is hard, and even harder to maintain. 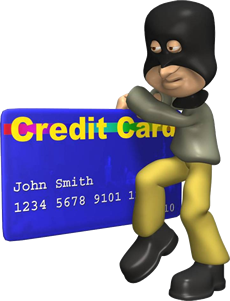 A secured credit card can help in rebuilding credit, or to build new credit for individuals just starting out. You Can't Monitor Your Credit 24/7, But We Can! 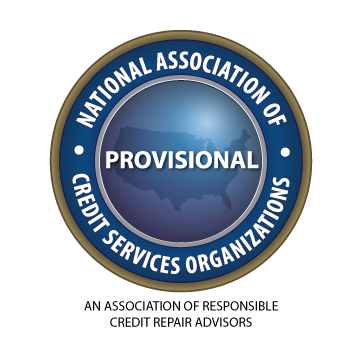 You will have access to Your VERY OWN Credit Portal during your improvement process. You can watch the credit improvement process LIVE 24/7. 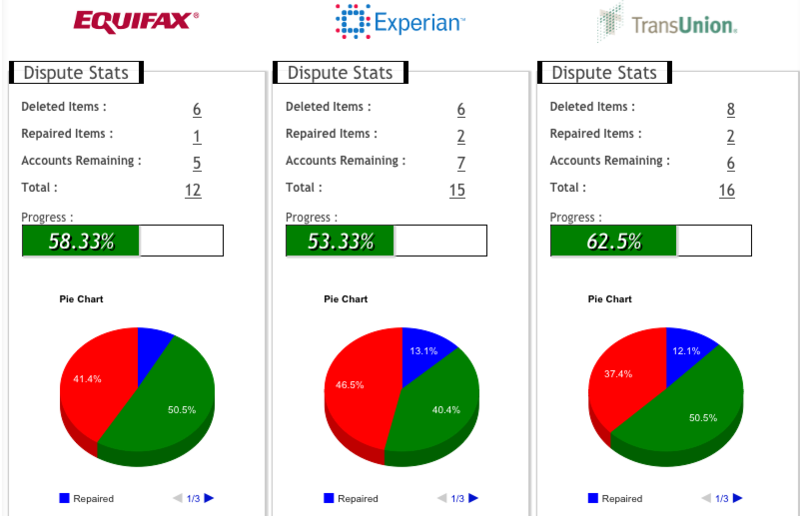 See what items have been deleted, what percentage of your repair is complete, view graphs breaking down progress, even communicate with your credit specialist and upload documents securely right through your Personal Online Dashboard. 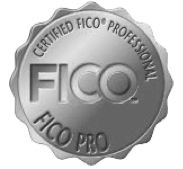 provides you with the kind of financial peace of mind that comes with being an informed and proactive consumer with a team of experts to support you. InCreditable Advisors provide you with the tools and alerts to track your progress 24/7. Download our Mobile App today from your smart phone on the play store so you can monitor your progress on the go.